Over the head, monaural headset supplied with ultra noise canceling microphone and Sennheiser's exclusive ActiveGard™ protection technology. 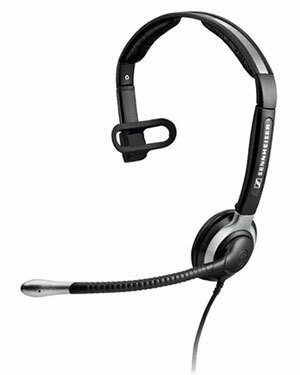 The CC 510 is an extremely robust monaural headset. It provides excellent sound and is very comfortable to wear. The durable construction makes it perfect for any type of office or professional communication.